After an Easter-themed D&D campaign where we slayed a horrible rabbit beast, I decided to go home and paint a vague rendition of how I imagined it to look. Google image searching pulled up an image of this pitiful baby rabbit that had yet to grow in all of its fur. While I originally intended to make it a giant terrifying monster it was just too cute not to paint it as-is. 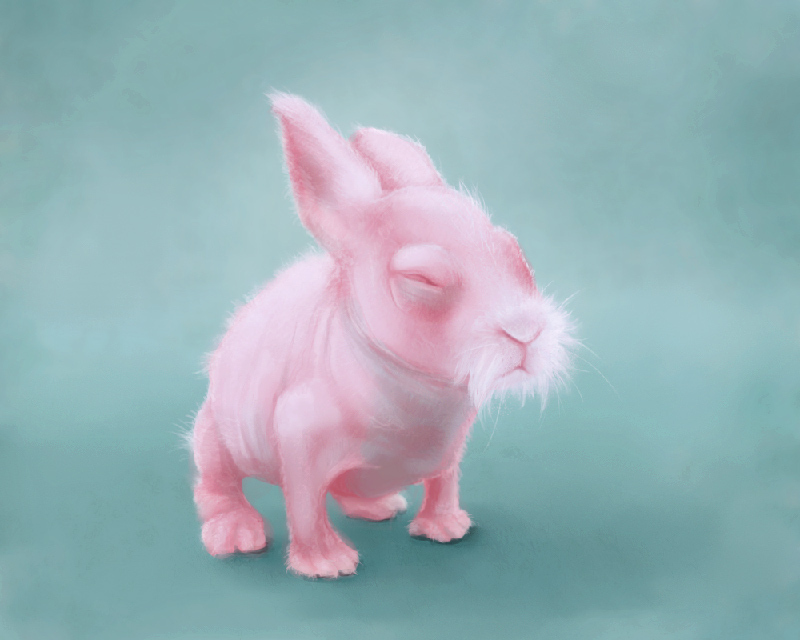 So instead of an epic boss battle it’s just a quick portrait of Mister Miyagi’s bunny twin.